With any new technology there is skepticism about how well it works. This is good; the burden should be on the technology provider/ developer to show what it is capable of doing and proving that it can do what it claims. That being said, when trying to change how things are done the first adopters are important to help prove the claims. Maapera has been very fortunate to work with the Built in Canada Innovation Program (BCIP) that allowed us to deploy our technology on a number of sites for the Federal Government. Results from our field trials through this program have been positive and for details please download the pdf through the link below. The impetus for the development of Maapera’s technology revolves around the desire to provide greater accuracy and certainty during environmental certainty. Typically, more data points allow for better decisions and Maapera’s technology allows for just that. 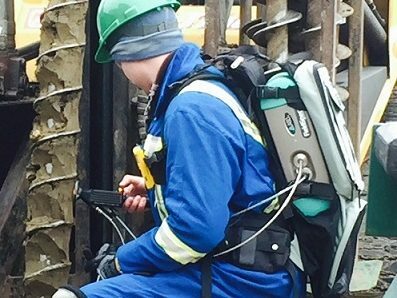 Environmental Site Assessments during the phase II period are specifically desired to obtain more certainty about whether a remediation program is required and if so then what the best options are for that program. If you have limited information during this phase, often the case, then there are substantial risks being built in to any decision process. We want to reduce your risk by providing more data of high quality that will compliment any lab analytical you are working with. An overview of how we can help can be seen in the PDF link below. 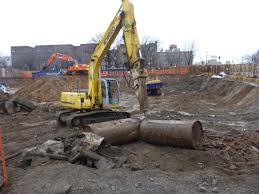 where clean soil is then used as back fill and the contaminated soil is taken to an appropriate disposal site. 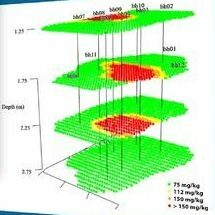 During excavation the time frame for obtaining sample data that can inform field operations is often critical. With Maapera’s technology, near real time analysis of soil can be achieved and this can avoid costly over-dig as well as down time or worse failure to get closure and the need to re-mobilize to site. A summary of this value proposition can be seen in the PDF link below. Salt based contamination for soils is quite common in both the transportation sector as well as the oil and gas sector. For transportation salts are used to de-ice roads during the winter and for oil and gas produced water typically contains salts of a a number of sorts due to the way organiz matter decomposes to creat petroleum hydrocarbons. 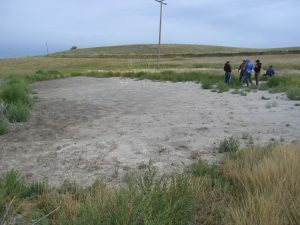 Existing field screening techniques for salts, such as Electrical conductivity probes, have poor correlations to lab based results and as such there are many cases where remediation efforts are either ineffective or over excavation occurs. A summary of an actual project Maapera was involved with can be seen in the PDF link below. This was a trial and we believe that if they had used our data as guidance they could have avoided roughly $15,000 in over excavation. That would have been a 3:1 ROI on Maapera’s services.